Pereira & O’Dell New York continues its promotion for Timberland’s SensorFlex™ comfort system that delivers underfoot support, independent suspension and greater flexibility. 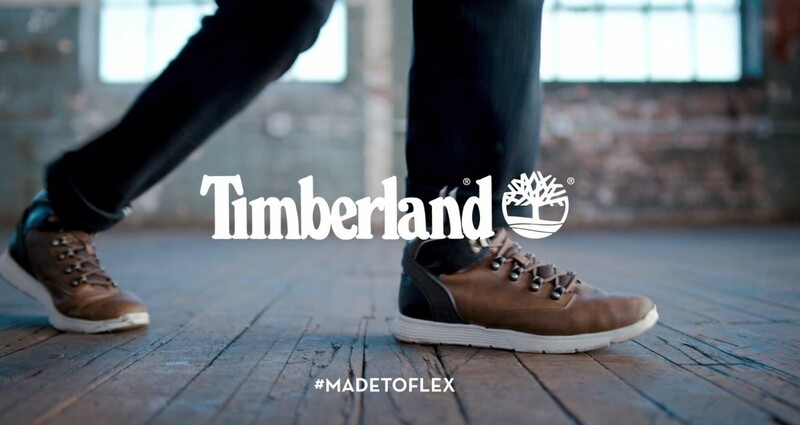 The "MadeToFlex campaign introduces Timberland's Killington. Dubbed the "sneakerboot", the Killington collection resembles a mashup of a traditional rugged Timberland boot with the easy-to-wear properties of a sneaker -- allowing you to experience extreme comfort and movement. The centerpiece of the campaign is a 2-minute film shot by director Andy Margetson and features superstars of dance: Loic Mabanza, Jacob Pinto, Storyboard P, Dassy Lee and Marie & Keone, who mutate, trick and break to an original composition by Alphabet Tree. The work showcases a new Timberland with lighter, more modern looks and utilizes dance and movement to showcase the flexibility and style of its proprietary SensorFlex™ comfort system.